Every once in a while you come across a book that depicts what every kid is thinking. 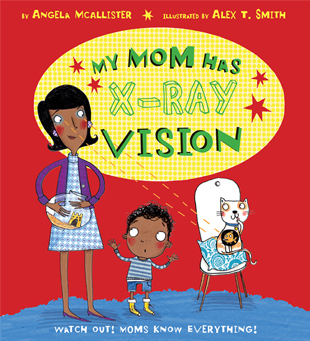 My Mom Has X-Ray Vision by Angela McAlliser is definitely one of those books! Matthew’s mom is just like all the other moms with her ordinary hair and clothes. She’s just like all the other moms, except that Matthew is fairly certain that she has X-ray vision. How else could she always know what Matthew was doing, even if she’s downstairs or in another room? He’s pretty sure she’s some kind of superhero, and one day, he decides to find out if he’s right. Oh my goodness, this is the best book. The Lil Princess (7) and I loved it! As a kid, weren’t you sure your mom had these special powers that allowed her to see everything you were doing? Well, McAllister took every kid’s nightmare and turned it into a zany book where a young boy is convinced his ordinary mom must have X-ray vision to know he’s jumping on his bed when she is in the living room and to know he is using her saucepans in the yard when she is still in the kitchen. Even the artwork for this book is a bit outrageous. Alex T. Smith, who also illustrated Home (another of my favorite tiger tales books), does a stupendous job with My Mom Has X-Ray Vision. 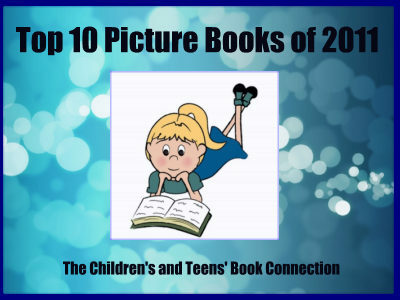 He captures Matthew’s imaginary adventures–which his mom always seems to know about by seeing through the walls–with an element of silliness and fun. Boys and girls alike will be drawn to this one. My daughter and I will definitely be reading My Mom Has X-Ray Vision again soon.